A twist on a Caesar salad, and a great way to use leftover roasted turkey. 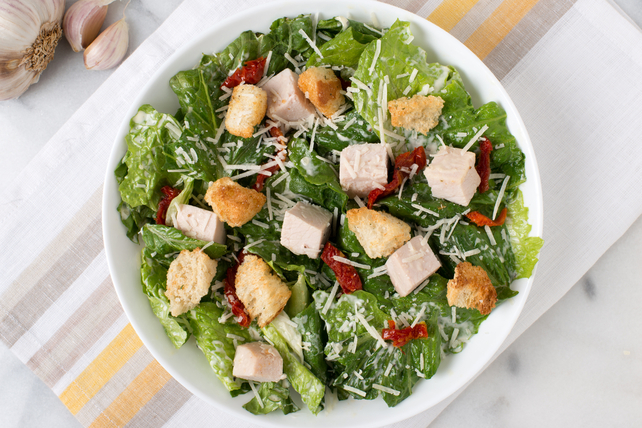 Toss lettuce with turkey, croutons and tomatoes in large bowl. Prepare using chopped cooked chicken.